It’s that time of year again! 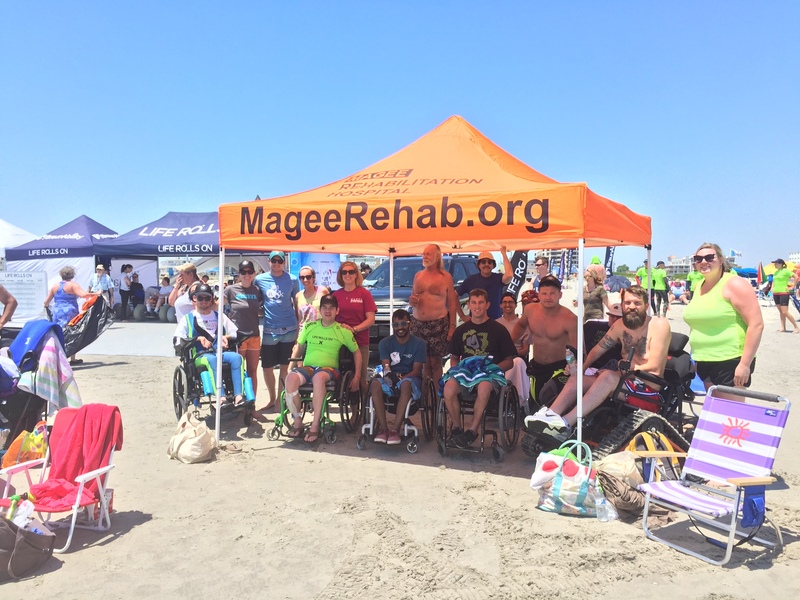 Team Magee is heading to Life Rolls On: They Will Surf Again, an adaptive surfing event in Wildwood, NJ on Sunday, August 5. We are looking for both adaptive athletes as well as volunteers to join our team. Visit https://liferollson.org/newjersey and scroll down to the red Registration buttons for Adaptive Athletes and Volunteers. Once you’ve registered, email Occupational Therapist Gina Cooke at GCooke@MageeRehab.org. Gina will compile a list of Team Magee volunteers and adaptive athletes for event organizers. To ensure we are all placed on the same team, please email Gina no later than Friday, July 20. Magee will provide transportation for adaptive athletes and family members and staff, if needed. Please mention your need for transportation in your email to Gina. In a break with tradition, the event is NOT on Father’s Day this year, which hopefully means the water will be a bit warmer than usual. Also, it is at a new location in Wildwood. Family and friends are welcome. Experience swimming and/or surfing is not required for adaptive athletes. To learn more, check out the Athlete FAQ and Volunteer FAQ. We hope you will join us! For more information on the Life Rolls On Foundation and the They Will Surf Again event, please visit https://liferollson.org/newjersey.